We supply a wide variety of Essential Oils which are used for Aromatheraphy, Perfumery, pharma and many other uses. All our aromatic oils are sourced from qualified manufactures who are into traditional production. Ashwagandha Oil is a soothing treat for tired and sore muscles. and magnesium, both renowned for soothing the nervous system. the ancient Indian philosophy of health and well being. brown clear liquid with amber odor. assists in treating various ailments including high usefulness in aromatherapy applications. Its used as a spice in the East, and as a musk substitute in perfumery. In India it is popularly known as Mushkdana or Kasturi Bhendi. Oil is extracted from the musky, kidney- shaped, fully ripened seeds. When ambrette uncrushed/whole seeds are distilled, a liquid essential oil is produced, the crushed seeds yield a solid (so called concrete), the latter oil contains a high amount of palmitic acid. A true concrete is also produced. red, eastern red or southern red cedar, as well as Bedford cedarwood. Davana Oil is obtained by steam distillation of the overground parts of the flowering herb, Artemisia Pallens wall. 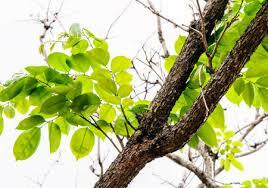 The plant grows in the same parts of southern India where also sandalwood is grown. It is one of the most useful essential oil. Its unique fragrance and attributes gives soothing and calming effects. Jasmine is called the King of flowers. Jasmine is the ultimate aphrodisiac oil. It is an essential for anyone with an interest in perfumery, but offers much more than just a lovely exotic aroma. Jasmine Grandiflora's aroma is softer, more gentle, and less exotic than that of the Sambac. the dawn-blooming Grandiflora seems to carry the essence of a bright new day. A softer, somehow more feminine aroma. The English language seems to lack the vocabulary to truly describe the differences between these so similar aromas. You must experience both and form your own descriptions. Sometimes called "Arabian Jasmine" or "Chinese Jasmine". This is the Jasmine with the richest, most heady aroma. Juniper berry oil is most useful to detoxify and clear congested skin, making it excellent to help clear cellulite and to return the tissue to normal functioning. Juniper berry essential oil is steam distillation from fresh juniper berry fruits. Junifer Leaf Oil extracted from Junifer leafs applied externally to relieve the rheumatic pain, to counteract alopecia, and also as a septic to wounds. Lemongrass oil is steam distilled from stems and leaves of lemongrass and aroma is slightly bitter, citric, sweet and strong. Lemongrass Oil is an antiseptic oil. Lemongrass Oil can be used as an astringent because it helps in fighting acne and greasy skin. Lemongrass Oil is also an anti-depressant and can help in relaxing muscular nerves and pain. Further Lemongrass Oil can also help in keeping the insects away. Lavender Oil is used as an analgesic, anti-convulsive, anti-depressant, antirheumatic, antispasmodic and bactericide. Lavandin Oil, specially extracted from handpicked fresh flowers. Lavandin Oil has a fresh woody aroma. This Lavandin Oil is vital in treating cold and head congestion. The Lavandin Oil offered by us, is available in bulk at most competitive prices. A small glossy evergreen tree up to six metres high, fragrant flowers and bearing fleshy fruit. The essential oil has a delicate odor true to the scent of the fruit and is golden yellow in cooler, with a slight blue/violet fluorescent tint in bright light. Mandarin oil is used in soaps, cosmetics, and perfumes, especially colognes. It is also used as a flavouring agent in liqueurs sweets and drinks. This relaxing and soothing oil was largely used in India as a perfume, medicinal herb & skin tonic. Spikenard has a woody fragrance which is astonishingly herbaceous and aromatic, warm and sensual. This fragrance is also a combination of sweet, resinous, spicy, and animal-fat odors. With Jatamansi, the essential oil is like an organic earthy scent. The sweet-woody spikenard oils can blend well with other specific oils such as lavender, Vetiver, Lemon, Oak moss and spice oils. 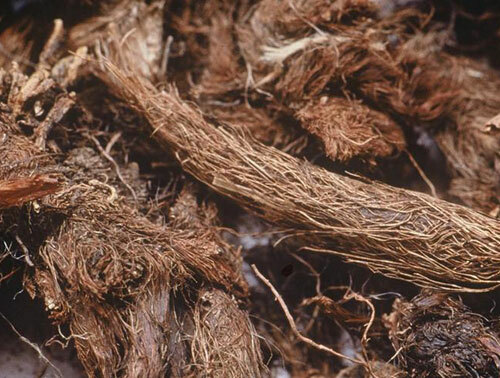 Spikenard has been utilized since ancient times as a medicine for curing heart diseases, mental retardation, urine-related problems, insomnia etc. Famed Ayurvedic-healer Charaka and "Father of Surgery" Sushruta incorporated Jatamansi in many medicinal oils, which are prescribed for edema, hemorrhoids, arthritis, gout, fractures, and obstinate skin diseases, mostly for external application. ﻿ Agarwood Attar has a pleasing woody masculine fragrance and made from natural agarwood. Also known by the name of Oudh/Aloeswood, it is derived from Agarwood tree. The derived oil is most expensive oil in the world due to it being scarce as it takes hundreds of years for resin to form from mold on tree. Having a classic Oudh fragrance, it has a deep, earthy, musky and potent aroma, it blends well with all oils and has warming, purifying, balancing, deep woodsy & transcendent qualities. 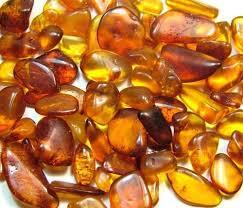 Amber Oil has a very vitalizing & tonic effect and helps in activating movement of Kundalini & electrical flow throughout the body. ﻿ Also known as ‘Westindian sandal wood oil', Amyris oil is obtained by steam distillation of wood from this tree that belongs to the rue family. The oil has a pleasantly woody with a balsamic touch and is a great antiseptic, sedative, balsamic, calming agent and helps in stress relief. 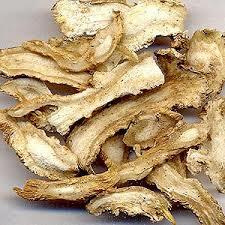 It also has sedative properties & helps during meditation.